As we work to enhance transitions of care hand offs and improve the longitudinal resident record, it’s time for a basic education session on the Continuity of Care Document (CCD). The CCD is primarily used for exchanging resident, or patient information when an individual transfers from one care setting to another. It is meant to assist the next care setting in effectively continuing care. The CCR started as a paper document. The CCD is an electronic solution to sharing Clinical Documentation securely and efficiently. It is the most commonly used type of electronic document defined by the CDA standard. The data elements contained in the CCD are critical to being able to continue medical care. It is NOT a full medical or family history. It is more of a snapshot of the most recent clinical data on a resident. There are several sections included in the MatrixCare CCD: The facility that sent the document, the resident’s demographics, contacts, medications (active medications and those that were discontinued in the last 30 days), Active Diagnoses, Current Allergies, Vital Signs (10 most recent), Advanced Directives, Insurance Providers, and Results (Blood Sugar, PT/INR, and TB results). A CCD can be sent securely as needed via our MatrixCare DIRECT offering to an external provider (hospital, physicians group, etc.). Save costs and improve workflow by eliminating paper and faxes. A CCD can be received securely via our MatrixCare DIRECT offering from an external provider. This also eliminates paper and faxes. In fact, if a CCD in XML format comes in from an external provider, you can Add a Resident and Create a Resident face sheet directly from the CCD. This will save you time during the admissions process. CCDs populate our NEW CareCommunity offering with data. 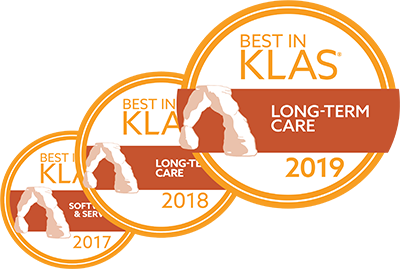 Sharing this data not only builds a resident’s clinical history over time, but it allows us to engage with external systems across the industry that also contribute to a resident’s longitudinal record that spans both time and care settings. Using the CCD allows MatrixCare to bring data in from more external systems FASTER and more EFFICIENTLY because it’s standard for top ranked vendors to offer a CCD electronically. C.C.D., X.Y.Z, A.B.C., 1.2.3! For more information on any of these CCD related features, please reach out to your account manager at MatrixCare. Don’t be last to adopt these timesavers and improve workflows! Amy Ostrem, Senior Product Manager, Skilled Nursing Solutions, has been working with our products and service teams for 19 years. She originally was a client before joining the company as a Client Education Consultant and has served in various departments and roles through her tenure. In her current role, she divides her time between client facing teams and product development teams. Ostrem oversees the Business Analysts, Product Roadmap, Value Proposition, and Commercialization. She participates in industry events, client engagement sessions, focus groups, our annual Directions event, and provider advisory boards. Ostrem holds a bachelors degree from Concordia College in Healthcare Financial Management. Prospects Read Your Online Reviews. Do You?